Many of you might have known that I am an avid Apple fan. I’ve been using everything Mac for sooooooo long, I don’t even remember how Windows looks like. Since switching to everything Mac, I’ve been afraid slash lazy to try out other brands. 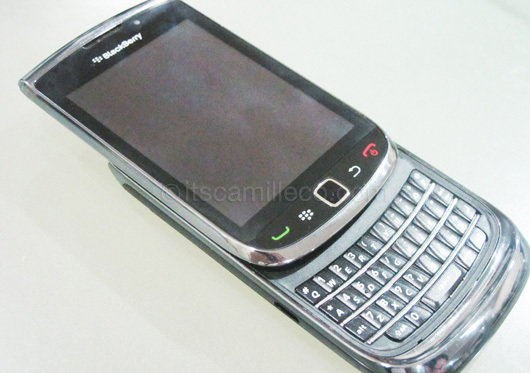 But when opportunity came to try out the Blackberry Torch for a few weeks, I immediately said yes. Of course I had my apprehensions at first. I’ve always thought of Blackberry as complicated. I don’t know why but it just looks like it to me. Little did I know that I would enjoy the Blackberry Torch as much as I enjoy using my iPhone. So here goes my attempt at reviewing something techie. Please bear in mind that I’m not at all techie. I’m just stating my opinions like any other average, non-techie person out there. Tada! Physical Qwerty keypad too! It wasn’t hard to handle at all. In fact, I loved the feel of the phone! Anyway, enough about the physical appearance and more about the Blackberry. What I loved most about it is the social networking convenience. It’s so easy to check your Twitter, Facebook and other sites on it. Blackberry has an app called Social Feeds where all the news feeds from all the social networking sites you belong to are merged, so you don’t need to switch from one site to another. They’re all there! Neatly arranged for you to read. Checking emails is also extremely easy. Just like the iPhone, you can have multiply accounts and merge them so that you don’t have to switch from one account to another. After all that I’ve said, I think the number one advantage of using a Blackberry is still the affordable data plan options available for it. You can update all you want via BBMs, Twitter or whatever other site you use, without having to worry about your bill. (I’ve never tweeted more in my life than the 3 weeks I had the BB Torch with me). And for some reason, I feel like it also has a much better network reception compared to the iPhone. So will I make the switch? I don’t know. 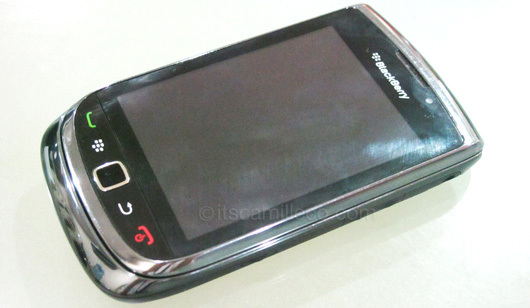 But I’m thinking of getting myself a BB in addition to my iPhone. I don’t know how many times I’m going to say this, but BBs are extremely convenient to use, especially for busy people on the go.